Supports your iPad as well! 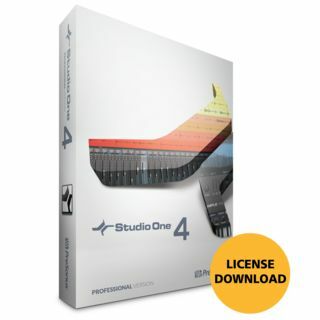 The MUSIC STORE professional offers a wide range of software and hardware products for modern music productions in various genres. Whether you are a professional with years of experience, an ambitious hobby musician or a beginner - here you will find everything you need to create professional recordings, edit them with high-quality audio tools and optimize your workflow with controllers, to name just a few. Modern music production is done mostly with computers. Due to the ever increasing performance of computer systems, audio editing software opens up all kinds of versatile possibilities for music producers and audio engineers. Even audiophiles who want to digitalise their record collection and cut music and archive it, today use inexpensive recording technology. In order to be prepared for complex productions, the MUSIC STORE professional offers desktop computers and Mini PCs that are specially designed for the audio sector. 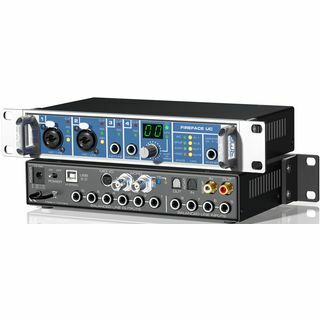 Powerful processors, storage space for your recordings, soundproof enclosures and plenty of GB RAM for the use of sound libraries are only some of the important features of our all-in-one audio computers that fit well into any studio. But those who prefer Apple will of course also be catered for: Whether iMac 5K or e.g. the MacBook Air - we have a large offer: Find the right notebook / laptop for you! Audio interfaces are among the most important devices in the studio, which is why we would like to present you a wide range for all common applications in everyday studio life. From Fire Wire interfaces over PCI / PCIe audio cards and USB audio interfaces up to Thunderbolt and network systems, everything is included! Are you looking for a simple recording option for your singer-songwriter projects? Try the Focusrite 2i2 Audio Interface! Or would you prefer a device with an integrated processor for plug-ins? 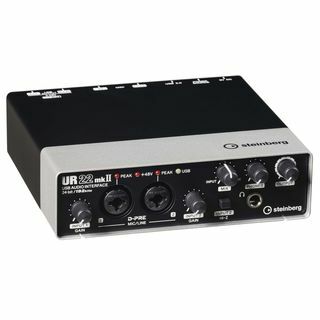 Use Universal Audio to take the load off your computer or notebook and have effects calculated externally! High-quality software for composing, mixing, mastering and and and...! The large assortment offers everyone the opportunity to enter the world of digital composition, notation, mixing and mastering and editing - and save a lot of money at the same time! Nowadays, software emulations of outboard equipment can hardly be distinguished. Sound libraries can replace entire orchestras, bands, choirs etc. and editing can even be done on smartphones, iPhones, tablets, tablet PCs or Apple devices via apps on the Internet! The list of DAWs (Pro Tools, Studio One, Cubase, Live etc. ), software instruments, effect plug-ins, editors, samples/sounds etc. is almost endless and continues to grow. At DV247 - MUSIC STORE professional we are ready and happy to consult you about our top brands such as Native Instruments, Steinberg, Focusrite, Avid, Ableton, Akai, Alesis, RME, MOTU, Presonus, Antelope, Tascam, SSL, Softube, Slate Digital, Waves, Toontrack, UVI, Digigrid, Apple, IK Multimedia, Apogee, Izotope, Antares, Lexicon, Universal Audio, Ferrofish, Arturia, Roland, Line 6, Behringer, Metric Halo and more. In the digital world, which often only takes place in the network, on the computer or monitor, controllers are becoming more and more popular. The feeling of having something haptic in front of you during post production, editing and mixing is just fun! DAW controllers like the Presonus Faderport, Icons Platform and Behringer's X-Touch series as well as the Avid S3 Control Surface can partly be operated like analogue consoles and bring real studio feeling back to the digital Smart Home / Project Studio on the desktop PC. 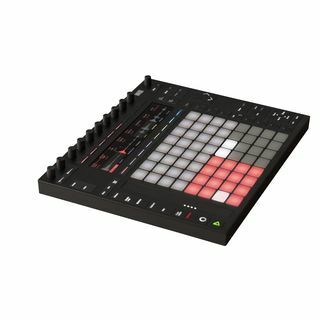 The beat designers and live artists are also taken care of: With launch pads from Novation, the Fire FL Studio Controller or Ableton's Push 2 you can fire samples, play loops, play drum kits and send shortcuts for plug-ins and DAWs - for every studio, for every computer and in every genre. The MUSIC STORE professional also offers various accessories for desktop computers such as iLoks, cables, SSD, SD cards, USB sticks and more to expand existing systems, replace broken or lost items or simply try out new ones. In addition, we have interfaces and devices, as well as live-stream cameras, bundles, and much more on site and in the online shop! Important features such as audio quality, performance and reliability have been dramatically improved by recording technology manufacturers in recent years. Nowadays, whether you are a hobby musician or a professional producer, you can create high-quality audio productions at home on your computer for very little money. Sometimes it is hardly possible to distinguish the emulated software instrument from its analogue or digital counterpart. This also applies to the audio quality of the available sample libraries.